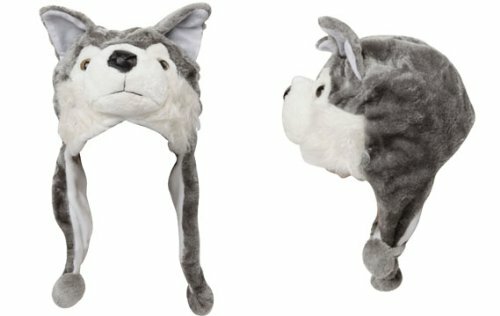 There are some really fun winter animal hats for kids around. You could choose from a lion, monkey, wolf, penguin and lots of other cute designs in wool and plush. These animal hats for kids are just so cute! We just bought my sons aged 3 and 5 animal hats as early Christmas presents. We figured they might as well start wearing them as it's already getting cold. My older son chose a plush wolf hat - one of his favorite animals. He got lots of attention the next day when we went to visit a wildlife center in the forest that has wolves! My younger son chose a fleece-lined knit lion hat. This looks seriously cute on a preschooler and he got so many smiles and comments when he wore it. Although they are proper winter outdoor hats, the boys have both worn them indoors and pretended to be animals. 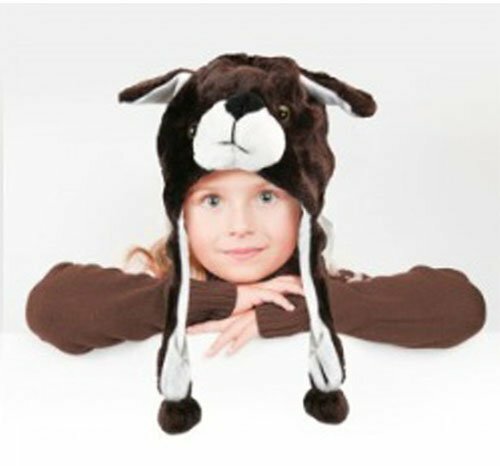 Cute Wolf Hat for Children, Great for Halloween, Gifts! FREE SHIPPING! These kids plush animal hats are such good fun! They're practical too, they keep kids really warm - especially their ears and neck which can get cold with a normal hat. My son likes the pom poms on the long ear flaps of his wolf hat - the pom pom on one of the dangling pieces fits through a slot on the other. Warning: Your kid will look very cute in one of these hats and people will look and smile! These hats work well for little kids and big kids, boys and girls. My son is only five but because of the style of the hat it stays on well, and it will last him for years if we manage not to lose it! Lots of tweens love these hats, and they're even fashionable with teenagers and adults too, especially if they ski. 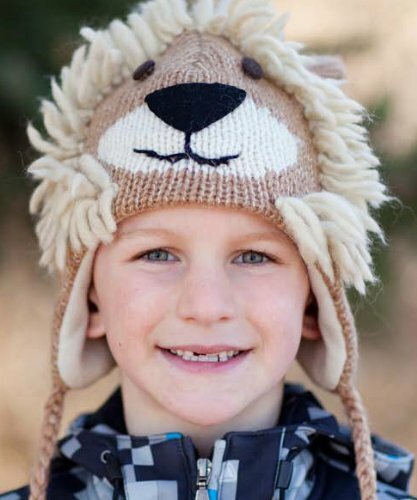 My three-year-old just loves his knit lion hat with tassles - he loves to hold on to them. Most of the knit animal hats have a fleece lining which means there's no itchiness and they are lovely and cosy. There are knit animal hats it lots of designs, I've chosen a few of my favorites here. 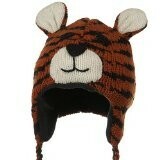 The toddler tiger ski hat is very cute - love those ears. The monkey is a classic kid hat choice and the owl is very fashionable at the moment. We found that it was fine for these hats to be a little large - you don't want to choose one that will be too small. These hats make great gifts for kids. They're ideal for families that ski, but they're great as regular winter hats too. Lots of gift ideas for kids who love nature. If you know a child who loves animals and being outdoors, you'll find a great gift for them here. A selection of art sets for kids. As a parent, one of the best gifts you can get for kids from preschoolers to teens is an art set. Here you'll find lots of great art gift ideas. Lots of ideas for green gifts for kids. Kids are increasingly environmentally aware. Lots of parents prefer eco-friendly gifts. This green gift guide for kids will help you choose. Did you like the Animal Hats for Kids? These are adorable! A very creative idea for Christmas gifts. Thanks! Summer blockbuster movies often preview what the popular backpacks will be come September. This year's back to school hit backpack will be Monsters University. Send your kids back to school this year with backpacks and lunch boxes styles from everyone's favorite superhero Batman.